Crews have cleared train cars and locomotives from the site of Canadian Pacific Railway derailment in midtown Toronto on Sunday that resulted in a leak of 1,200 litres of diesel fuel near a residential area. Two freight trains, going in opposite directions, sideswiped each other Sunday morning at about 5:20 a.m. ET, in the area of Howland Avenue and Dupont Street, east of Bathurst Street. The derailment damaged the tracks. No one was injured. 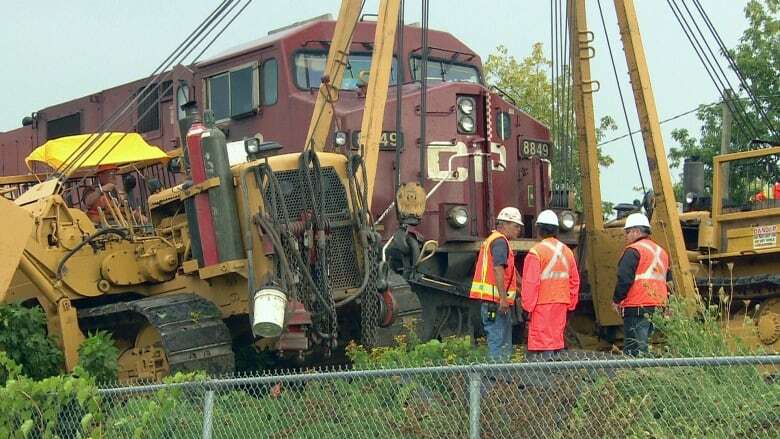 Martin Cej, spokesperson for Calgary-based CP Rail, said the derailed cars and locomotives have been removed, track work is continuing, and an investigation and an environmental assessment are underway. "Safety is the top priority and will dictate the pace and progress of the work," Cej said in a statement. CP Rail said early indications suggest human error was to blame. "It's far too close to home." Matlow, along with 16 other councillors, wrote a letter to Transportation Minister Marc Garneau in March that included a call for an examination of alternative routes for transportation of dangerous goods. Toronto Mayor John Tory also signed the letter. "There's obviously an ongoing debate about carrying a lot of these dangerous goods," Matlow said. "If there are routes to move these goods in ways where they don't go through the most densely populated neighbourhoods, I think it's reasonable to look at what routes are possible." 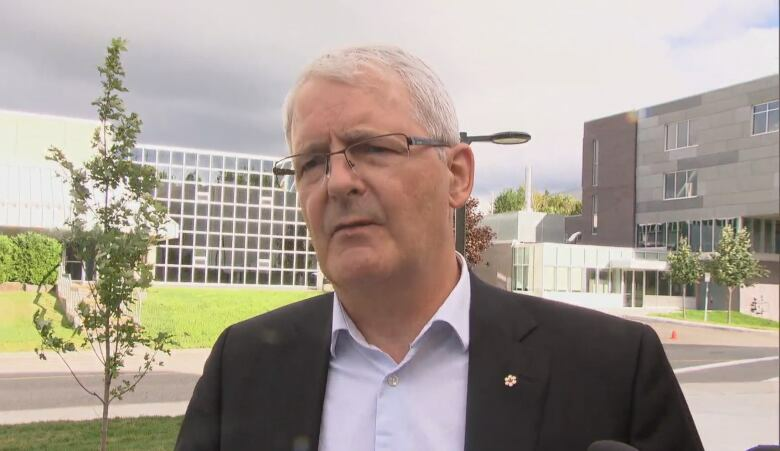 Garneau said Monday he intends to act swiftly if it's determined safety lapses caused the derailment. directions, what were the consequences," he said on his way into a cabinet retreat in Sudbury, Ont. "My aim is to reduce as much as possible these kinds of incidents, and so I intend to act swiftly if we find that there are things that we need to be doing that we haven't been doing in the past." In Sunday's derailment, the train travelling westbound clipped a few cars on the train travelling eastbound near a crossover, an area where the trains can switch tracks. The three final cars of the train that was sideswiped were carrying small quantities of dangerous goods including batteries, alcoholic beverages, aerosol containers and non-flammable gases under pressure, according to the TSB. None of those goods was released during the collision. The diesel fuel did not get into storm sewers or waterways, and officials said it posed no threat to the public. 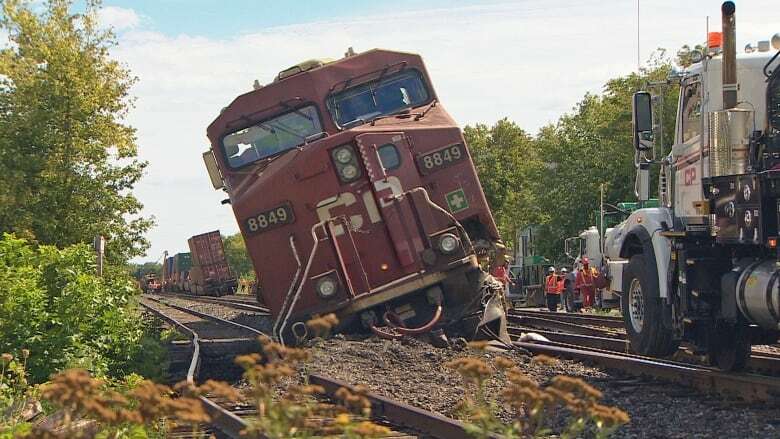 Matlow said the letter to Garneau also called for more communication about the type and amount of dangerous goods being transported by rail within municipalities. Emergency services in municipalities receive information about that transportation, but the information is not shared with the public due to confidentiality agreements, he said. "The public simply wants to have a better understanding of what's going right next to their homes." He said there are CN tracks that run north of Toronto that the CP might be able to use if it could negotiate an agreement with CN. "I would like the government to get all of the rail companies together and say, we have to find out the best ways to mitigate risk in the most densely populated neighbourhoods of our country. Anything that we can do to mitigate risk, I think that is reasonable to consider," he said. "We don't want to have a disaster like Lac-Mégantic happen in the heart of Toronto." Why is Canada phasing out the DOT-111 rail cars early?